IQ Duo Alarm integrates versatility, durability, and extended battery life for the most adaptable and reliable alarm available. With the flick of a switch it accommodates virtually any of your fall management needs. It works with bed or chair sensor pads, with chair belts, or as a pull-cord alarm. The IQ Duo includes an ABS mounting holster for chair, bed, or wall with a secure "posi-lock" clip for simple, snap-in mounting so it does not slip out. A built-in nurse call jack enables direct connection into existing nurse call systems. 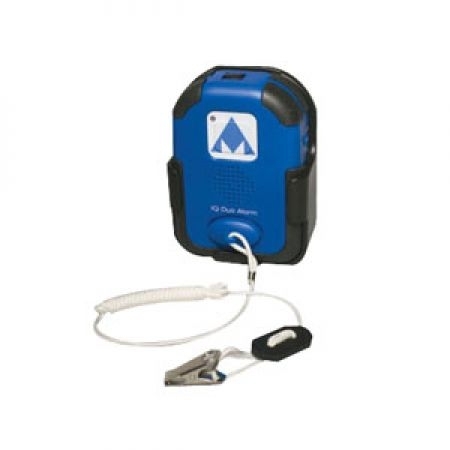 Alarm comes ready to use with batteries, magnetic pull cord, mounting kit, and instructions.